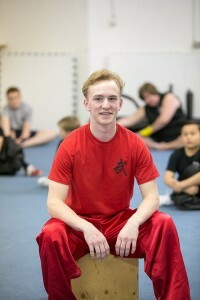 Jeremy Riddell was born in Saskatoon and has been with the Chinese Martial Arts Academy for nearly seven years. As a coach, Jeremy takes pride in the growth of his students. His attention to their needs inspires his own development as an athlete. Outside of the school, Jeremy is a finance student at the Edwards School of Business at the University of Saskatchewan and works for RP Industries.